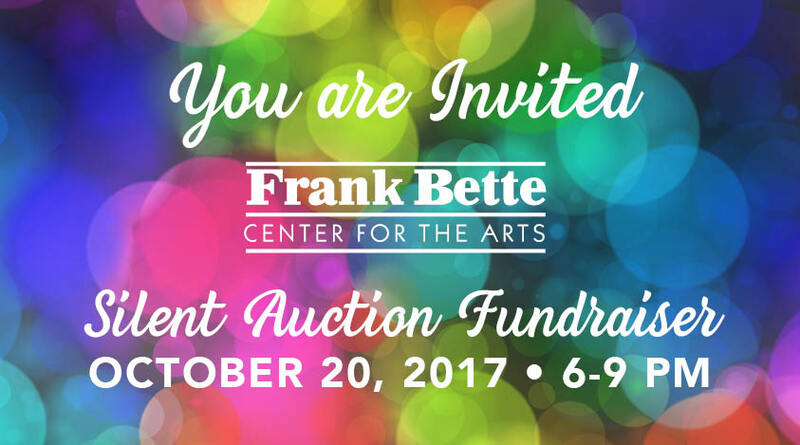 Please join us on Friday, October 20th, 2017 • 6-9 pm for the Frank Bette Center for the Arts Silent Auction and Fundraiser at 1601 Paru St in Alameda. The fun-filled evening will include hors d’oeuvres, a no-host bar, and a silent auction of restaurants, art, gifts and unique experiences. We hope to see you during this special evening of fun and fundraising for Arts in Alameda! Tickets are $25/person in advance ($35/ person at the door). A limited # of tickets are available.